Numbers are countless. Numbers are infinite. Yet you cannot manage what you cannot measure. This is why correct numbers matter. Businesses of all sizes value numbers, as they are a lighthouse in a sea of commerce, helping navigate your way. Numbers show what has happened and what is happening now. They provide information that lets you to choose a course that will lead your enterprise to success. But numbers in themselves are not transparent enough to read and understand what is behind them. Business intelligence (BI) is a tool that makes perception of figures easy, enjoyable, and useful. BI is a software which allows to turn data into a readable information that represents results of company’s strategic and tactical business decisions. The BI engine absorbs and analyzes data and presents analytical results in understandable records complemented with figure panels, graphics, diagrams, dashboards and maps to provide detailed information about the current situation of an enterprise. Still, BI by itself doesn’t answer the question of what exactly is going to happen on the market. This is true about short-, middle- or long-terms predictions, since BI creates reports of only the past and present. Nevertheless BI can show exact figures, making it possible for humans to calculate with “what if” stipulations. Actually, BI brings along a comfortable way for processing data and understanding tendencies of an actual business state. Leading logistic companies optimize their business processes with BI that helps seeing shipment delays and volatility within the loading operations. The BI power is also used to find out which commodities are mostly stored and rate each of the delivery channel by swiftness. This is easily possible if a company makes use of an embedded BI capacity. Initially, the IT industry representatives were the main and common users of BI applications. But modern BI tools are much more intuitive and user-friendly, so many other industries are now introducing BI into their analytical processes for improving the quality of decision-making. There are two types of BI. The first one is so-called “classic”, where IT specialists use internal organization data to create reports. The second one is a contemporary BI, where employees with non-technical qualifications are able to interact with high performance and easy-to-use software to analyze data faster and successfully solve operational day-to-day tasks. 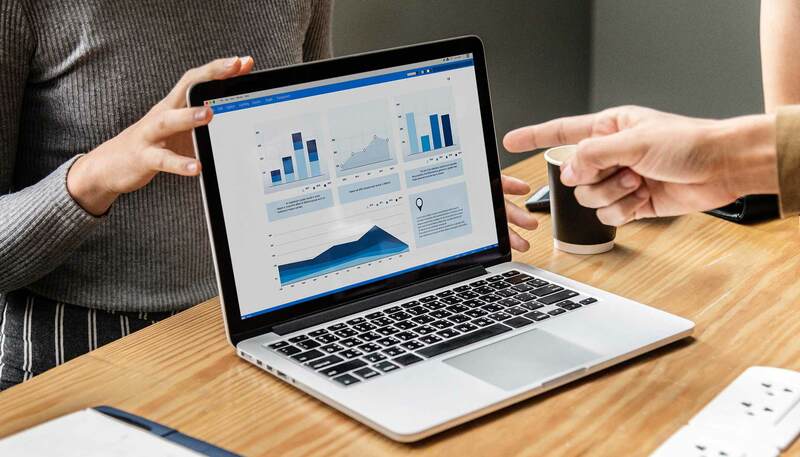 Companies usually apply classic BI for typical kinds of reporting, such as prudential or financial reports, where the forms and data sets are conventional and predictable. A simple example of classic BI usage is an enterprise income report. Once the needed settings are applied, the BI extracts the needed records from the data pool and provides exact results. So, instead of tediously seeking profit statements from the financial records and adding them manually, a company can use BI to do this automatically and accurately. Modern BI is fit for the employees without a technical background. It has an user-friendly interface, allowing business managers to prepare an interactive analysis of all workflows. When a BI user selects the needed data, the BI platform prepares the reports automatically, so the reports for management are provided in time, significantly increasing decision speed and quality. Enterprise budget maintenance is also crucial for all kinds of businesses. BI engine provides the most efficient financial control and analyse for company budgeting. There are different budgeting methods such as zero-based, activity-based, incremental or conditional. In all cases, BI enables an effective budgeting process. An organization may use an activity-based method, planning the movement of resources within defined periods of time. Since the volume of resources is always limited, their rational and effective disposition is very important. Yet, executives face many difficulties when planning their budget. The budget positions may be evaluated during a period of economic growth, while many new projects are upcoming, bringing additional or hidden costs. As a result, certain budget positions can be decreased. Sophisticated planning and approval procedure make it difficult to react on market changes instantly. This may turn budgeting from a powerful management technology into a formality that retards business development. BI tools enable a controllable process of budget planning and approvement. BI software helps implement a coherent approval procedure, assign responsible persons, store several budget scenarios, or model different situations on the “what if” principle. Implementing a BI technology, moreover, gives an option to use a budget methodology that is not based on segregated asset positions but takes into calculation a current activity (e.g. launching of new project or shutting down the existing one). If, for example, an executive of a retail company decided to expand his range of goods and add to his store another product item, this would require additional finances. BI calculates this alteration and provides correct numbers. Similarly, the BI tools correlate any income change with the key tasks of the company and determine an interdependence between the flows of products and finances. Budgeting includes not only planning, but also an analysis of its performance. Timely provision of the required reports allows to make necessary corrections into records. With BI software, enterprises obtain the capacity to work with a number of budget scripts that calculate price shifting on goods and raw-materials, different distribution channel scenarios and much more. In the past, the BI benefits were affordable only to large companies. These companies integrated BI despite the sometimes extensive costs, because it reduced operational costs and raised revenue at the end. And the revenue increase didn’t take long to show up. Today, there are enterprises of all sizes that thankfully implement and use BI solutions. These solutions cover a wide range of preferences and customization that could be suited for exact business tasks without overpaying for extra and unneeded options. We live in the informational space, which consist of multiple data and countless figures. The ability to process figures easily opens the best path for any activity. Fast, but also accurate and precise calculations are crucial for businesses. BI is a cutting edge tool that makes this possible.